The Main South Road Upgrade project, undertaken between Old Coach Road and Malpas Road, was a safety driven project which sought to reduce the number and severity of serious and minor injury crashes, whilst also improving traffic flow and supporting anticipated increases in road use. Prior to construction Main South Road, between Old Coach Road and Malpas Road, carried approximately 17,900 vehicles per day (annual average daily traffic). 78 per cent of crashes recorded along that stretch of road occurred at intersections. A new single lane roundabout at the junction of Port Road and Main South Road with a dedicated left slip lane for northbound vehicles from Port Road. U-turn facility north of Malpas Road. A three metre wide centre traffic median between Port Road and Malpas Road with central wire rope safety barrier. Extension of the Main South Road left turning lane into Malpas Road. Road widening and resurfacing, improved road lighting, road signage and line marking. Removal of right turn movements in and out of Little Road at Main South Road. A shared user path crossing at Main South Road to facilitate cycling and walking between Aldinga and Willunga. Pedestrian and cyclist access improvements at the roundabout. Removal of right turn movements out of Old Coach Road at Main South Road. A reduction of the speed limit from 100 km/h to 90 km/h between Seaford Heights and Little Road; from 80 km/h to 70 km/h between Little Road and Hart Road; and (further south from the project site) from 100 km/h to 90 km/h between Hart Road and Sellicks Hill. The project was initiated as an outcome of investigations to reduce fatalities and serious injuries on Main South Road. 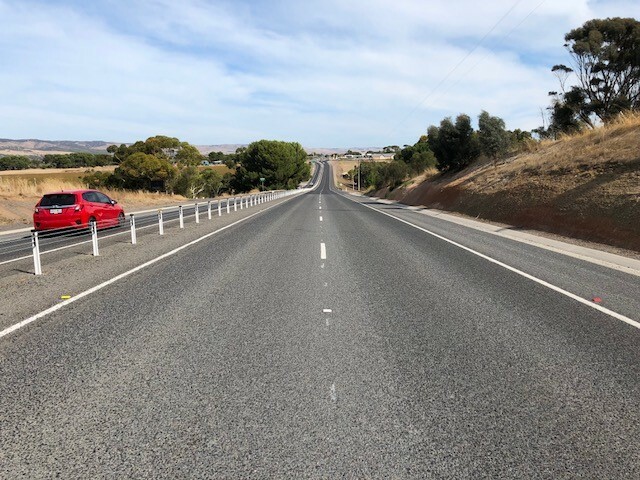 The Motor Accident Commission allocated $11.2 million for the project, which was undertaken by local South Australian company York Civil Pty. Ltd. Major construction commenced in August 2017 and was completed in April 2018. Final landscaping and lighting works were completed in mid-2018. If you have any enquiries about this project please email the project team at dpti.communityrelations@sa.gov.au or telephone Community Relations on 1300 794 880.